Chief Minister Narendra Modi escapes removal at least for the time being as the top leadership of the BJP does not want such an action to be linked to the Gujarat riots. ALTHOUGH it was deliberately kept out of the official agenda, the issue of Gujarat Chief Minister Narendra Modi’s removal dominated behind-the-scenes discussions at the Bharatiya Janata Party’s (BJP) National Executive meeting in Mumbai. Modi’s opponents would have never imagined that they would be responsible for saving his skin. All their efforts to get him removed backfired. The more vociferously they demanded his dismissal, the more strongly the party high command rallied behind him. Ever since the BJP lost seven Lok Sabha seats in Gujarat in the recent general elections, its MLAs have been demanding Modi’s dismissal. Many members feel alienated and are miffed with his `autocratic’ style of functioning. "When MLAs or party workers approach him for some work, he brushes them aside. He has no respect for and doesn’t listen to anyone," said a BJP member. Party members resent Modi’s unwillingness to share power. There has been no Cabinet expansion since he was elected. Corporation and board chairpersons are all Indian Administrative Service (IAS) officers, not MLAs or party workers. The Bharatiya Kisan Sangh (BKS), the farmer’s wing of the party, launched an eight-month-long agitation against the substantial hike effected in power tariffs by Modi. In retaliation, Modi made the BKS vacate its office in Gandhinagar, which was situated in an MLA’s room. A settlement was arrived at after a Rashtriya Swayamsewak Sangh (RSS) pracharak, Laljibhai Patel, went on a hunger strike supporting the BKS cause and criticising the `dictator’. However, most BKS members were unhappy with the compromise. The growing dissatisfaction within the party was reflected in the results of the Lok Sabha elections. Modi’s opponents used the electoral setback to highlight their grievances. Around 60 BJP MLAs reportedly came together to demand Modi’s dismissal. They were supported by Keshubhai Patel, who presented their plea before the party’s national leaders. "Since I am the seniormost in the party and I live in Gandhinagar, many MLAs who are turned away by the Chief Minister come to my house," said Keshubhai. After he was ousted from the post of Chief Minister to make way for Narendra Modi in October 2001, Keshubhai has been the guiding force for all dissidents. The party’s national leaders quelled the unrest by assuring dissidents that Modi would be removed after the Assembly session was over. At this stage, former Prime Minister A.B. Vajpayee stepped in unexpectedly. While on a vacation in Manali, he told the press that the communal violence in Gujarat was one of the reasons why the BJP lost the elections. He said that Gujarat would be discussed at the party’s National Executive meeting. However, BJP president M. Venkaiah Naidu and some others backed Modi in an effort to avoid any further embarrassment to the party. He said that there was no proposal to change the leadership of the BJP government in Gujarat "at this juncture". He added that the issue would not be on the agenda of the meeting of the national executive in Mumbai. The decision was taken at the BJP Parliamentary Board meeting held two days before the Mumbai conference. Party leaders did not want Modi’s removal to be linked to the Gujarat violence and so went back on their decision to sack him. So, by attacking him, Vajpayee ended up rescuing Modi. The RSS and the Vishwa Hindu Parishad (VHP) also supported Modi. They felt that the dismissal of Modi would signify that the party was moving away from Hindutva. At the Mumbai meet, Venkaiah Naidu and L.K. Advani highlighted the need to `rededicate’ themselves to their ideology, without `being apologetic about Hindutva’. The party decided to fight the forthcoming Assembly elections in Maharashtra, Bihar, Haryana, Jharkhand and Arunachal Pradesh on the Hindutva platform. 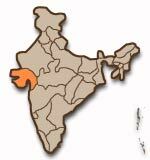 The party’s ally in Maharashtra, the Shiv Sena, also felt that Hindutva should be highlighted in the coming elections. Sena chief Bal Thackeray backed Modi, fearing that any move to remove him may be seen as diluting the saffron agenda. "Where is the need to remove Modi?" he asked. "It will send a wrong signal.... Hindus will be upset and Muslims will be emboldened," he said. But Gujarat’s dissidents refused to give up. Keshubhai Patel stayed away from the Mumbai meeting, saying he was unwell. He went live on television with his statement about the "mini-emergency" in Gujarat and further annoyed the BJP high command. Advani summoned him and he showed up at the meeting the next day. Later, Keshubhai met Vajpayee and was assured that Modi would take measures to rectify the situation. Modi has managed to escape unscathed for the third time. Former Gujarat Chief Minister Keshubhai Patel with Narendra Modi at the BJP’s National Executive meeting in Mumbai on June 25. "The atmosphere in Gujarat is like that of a mini-emergency. People are afraid. Even MLAs [members of Legislative Assembly] can’t speak." 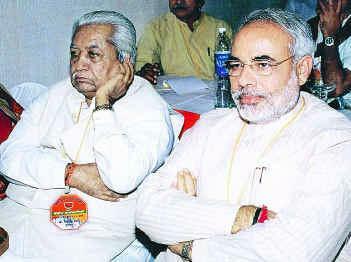 Former Gujarat Chief Minister Keshubhai Patel. There were several demands in the past for his removal. Soon after the communal riots in March 2002, the Opposition and a few allies of the BJP in the National Democratic Alliance (NDA) wanted him out. But the BJP refused. Later, at the BJP’s National Executive meeting in Goa in April 2002, some party members called for his dismissal. In a well-orchestrated drama, Modi submitted his resignation and the party leaders refused to accept it. In one stroke, all opposition was put to rest. The extent to which Modi’s handling of the communal violence influenced the Lok Sabha results in Gujarat remains unclear. It is the anti-incumbency factor and the farmers’ anger at the power tariff hike that seems to be the overriding factors. Upset with Modi for not addressing their problems, party MLAs and workers were not as motivated as in the past. As a result, the BJP won 14 out of 26 seats, as against its previous tally of 21. But will Keshubhai’s visit to Mumbai dissipate the dissatisfaction that has been building up for months within the Gujarat BJP? Only a drastic change in Modi’s attitude can quell the rumblings of dissent. "MLAs’ mouths are closed. They are not given a chance to speak even in party meetings. There is so much security for Modi that they cannot approach the Chief Minister. Even a former Minister was caught by the neck by security guards in Mantralaya. People are upset. Their work is not getting done. I have asked our leaders to change the present situation (of fear) in Gujarat or the party will suffer," said Keshubhai Patel. For the moment, however, luck and the high command certainly seem to be in Modi’s favour. in Frontline, volume 21, Issue 14, Jul. 03 - 16, 2004.